Are you grappling with non-paying and late-paying borrowers? Is mortgage default taking a toll on your business? Are you looking for ways to cut costs tied to mortgage loan recovery? Your options are just a click away. Outsource2india can provide mortgage default management services that will mitigate concerns about the high rate of mortgage foreclosure. O2I's mortgage default services can benefit lending institutions by capping the cost associated with evaluation of potential borrowers. We provide flexible options that will prevent a deadlock in business. We will send frequent reminders to urge timely repayment. However, we also provide legal support to deal with non-paying customers. Additionally, we also provide HAMP modification and short sale assistance if all recovery options are exhausted. Offshore mortgage default management support services to O2I and end your troubles with late paying borrowers. We efficiently track payment discrepancies by maintaining a detailed database of defaulter accounts. Every defaulter record will include details such as income, credit score, employment details, etc. We use this segmented data to send "letter of demand" on your behest. 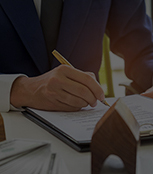 Once you choose O2I for mortgage default management services, you can free the in-house teams from grappling with legally mandated processes in mortgage collections. We have specialists who can obtain paperwork such as Fannie Mae form, unemployment benefit record, payment default records to understand the borrower's financial condition. This will enable us to determine their eligibility for loan modification. We provide excellent insights that will help you decide the possibility of modifying a borrower's loan. Alternatively, you can initiate a short sale for closure. 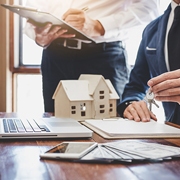 We evaluate the property condition, fair market value, and market trends so that you can recover unpaid dues through property short sale in quickest TAT. If you feel concerned about managing defaulted assets, fret not! We are specialized in managing assets for several mortgage loan types such as VA loans, FHA loans, as well as USDA mortgage loans. The proceeds from the short sale will help lenders monetize all non-performing assets without bearing losses. We also provide borrower reconciliation, conduct audits with due diligence, and maintain reports. To secure the collateral from delinquencies and lien we ensure a paper trail is maintained throughout the loan term. At O2I, we also prepare claims for the collateral and send the same to the default management team for further formalities. Our back-office support helps you maintain a clean document trail that is free from errors. We provide reliable estimates for the mortgaged property and curtailment amounts depending on loan default timelines. 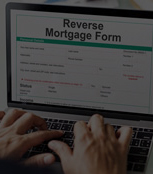 With an undisputed reputation, we serve mortgage solutions that will cut losses, provide recovery options, and fast-track decisions in claims processing. 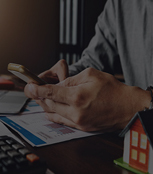 We are specialists at recovering loan amount from borrowers through assessment of borrower's financial capacity and routine follow-ups without risk to lenders. From HAMP modification to property liquidation we provide comprehensive back-office support for quick recovery of the loan amount. If the customer is unable to continue repayment through HAMP modification we can also provide short sale support as an option. Why Choose Outsource2india for Mortgage Default Management Support Solutions? Over the past 20 years of working for a focused goal we have achieved ISO 9001:2015 certification, a prestigious recognition for passionately serving clients with genuine mortgage default management services that truly solve concerns faced in debt collections and keeping track of owed payments. We are a company that values the personal and business data that belongs to clients. Our service commitment also includes keeping your data secure and out of reach from the hands of unauthorized members. We approve mortgage service handlers based on qualifications, expertise, and experience. We also mandate signing the non-disclosure agreement before project commencement. For our unwavering commitment, we are ISO/IEC 27001:2013 certified. From ensuring correctness of documentation to keeping valid records to notifying non-paying or late paying borrowers we ensure the process is systematic and accurate through start to finish. We emphasize on quality data to avoid a bad experience between lenders and borrowers. When time is short we are inclined to speed up the process without affecting the quality of service. To this end, we tirelessly work to ensure that paper trails are accurate so that borrowers can be contacted through more ways than one for sending timely reminders. The fastest way to grow is to ensure that you are adaptable to sudden change in demand, regulatory compliances, or mortgage landscape. This is where we outshine the competition because when you outsource mortgage default management support services to us we got you covered and ready for future challenges. Why let the pricing bother you when you can get choosy about what is ideal for your mortgage default management needs? We offer mortgage default management services that can be customized to suit your needs. We appoint a fixed project manager as your point of contact so that you can skip the queue and get quick updates on the fly. The member we assigned will be updated on the current stage of the project and the new developments to give you the latest inputs. You can also get in touch with our experts to get your queries addressed. We have a large pool of talented professionals that includes default management executives, mortgage analysts and much more having over 10 years of relevant experience. Our infrastructure (physical, security, and technology) is flawlessly maintained and updated from time to time to align with trends and to facilitate a secure ambit for carrying out the mortgage default management projects. We can also work remotely as an extension of your existing team by receiving support from our well-connected technology infrastructure. Want to share data and resources without the obvious concern for its safety? Let us introduce you to our secure and advanced FP and VPN where your data will be caught and stored on the Cloud for the project once it leaves your end. We are clocking more hours to accelerate completion of the mortgage default management services so that you do not lose time and money. We have contact centers that will stay operational 24/7 at your local time zone to serve you best with training, support, and grievance management. The closing time for a top mortgage lender was drastically reduced, thanks to the skill and efforts of Outsource2india. O2I assisted a US underwriting company by handling a higher rate of underwriting needs in a faster TAT. The client was elated with our support. 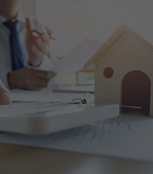 Outsource2india has earned its stripes as a leading mortgage default management services provider with 19 years of experience in a wide range of mortgage services. We have already catered to over 250 clients worldwide and have made services more accessible within the budget than any other competitors. With a skilled team of 200+ mortgage industry professionals, we have walked the extra mile to bring satisfaction to our clients. The other services we offer include mortgage processing support for credit unions, reverse assistance services, and much more. Reach us now if you are looking for ways to stay on top of collectibles without straining relationships with borrowers.